The EU's chief Brexit negotiator Michel Barnier on Tuesday called for more time to reach a deal with London, as fears grow about Britain crashing out of the union with no agreement in place. Barnier said there were still several important differences between the two sides, notably on the thorny question of the Irish border. As he arrived to brief EU ministers meeting in Luxembourg on the state of negotiations on the eve of a crucial summit, Barnier said "we're not there yet". 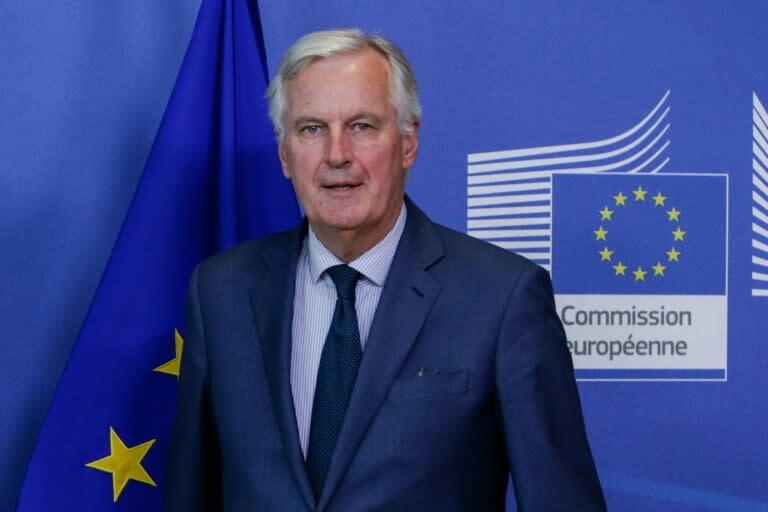 "We need more time to find a comprehensive agreement and achieve the decisive progress that is needed to finalise this negotiation on the UK's orderly withdrawal," he told reporters. "We are going to take this time calmly, seriously to reach this comprehensive agreement in the coming weeks." The latest round of talks between Barnier and his British counterpart Dominic Raab ended without breakthrough on Sunday, casting doubt on the chances of reaching a deal this week. British Prime Minister Theresa May will pitch to EU leaders in Brussels on Wednesday at a summit which had been billed as the last chance to agree a draft deal in time for Brexit day on March 29. One of the main sticking points is what to do about the land border between EU member Ireland and British-ruled Northern Ireland. London and Brussels say they want no checks imposed at the border, but the problem persists of how to square that aim with Britain's decision to leave the EU's single market and the customs union.